When it comes to choosing what printed planner to use, whether that be for your everyday life, business or both, the options can become overwhelming. The Target section is filled with 20 different options in store and with hundreds to choose from online. I used to spend hours at the beginning of the year trying to decide which planner would fit all of my needs. From working with clients to planning content to scheduling in appointments and keeping track of which bills that needed to be paid. And every single year I ended up either settling with a planner that I wasn't 100% in love with or using two planners to cover all of my needs. 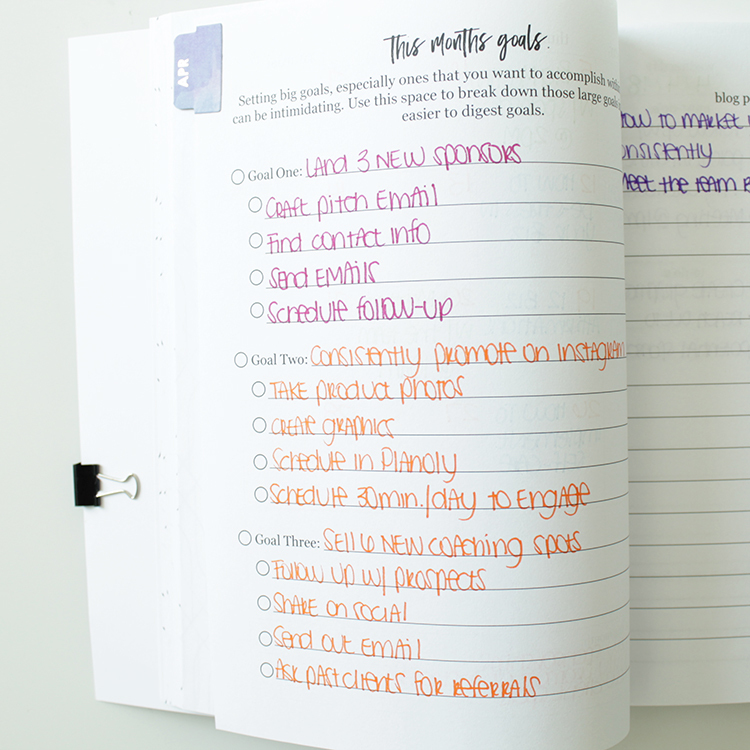 When we set out to create The Ultimate Weekly Business Planner, our goal was to create a product that could house everything you need to organize your life and business. Which is what the Living Over Existing brand is all about, finding harmony in and intention in your brand and life as an entrepreneur. We also wanted to focus on what's important, which is why we decided to stick with a simple interior and exterior style. 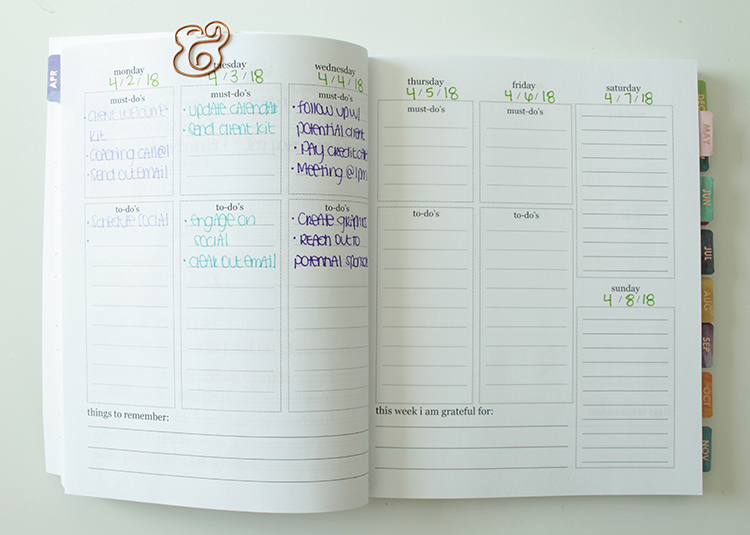 No distractions so that the planner provides you with enough white space for you to customize to your liking. 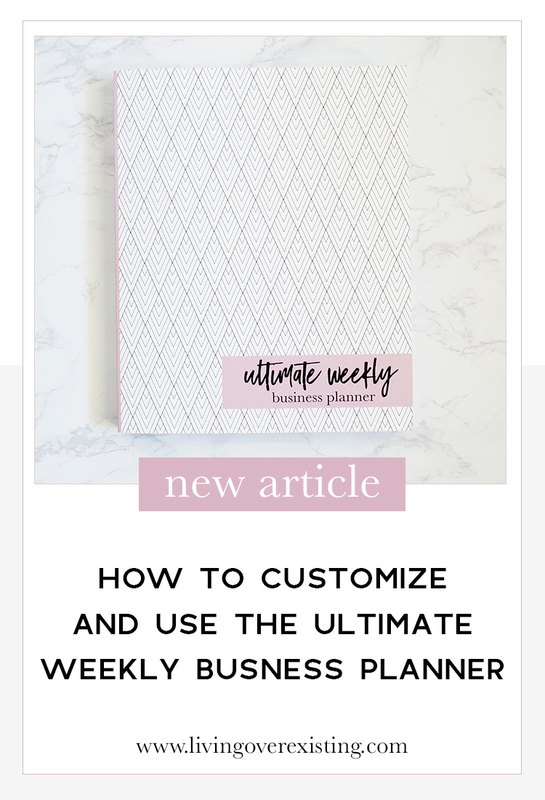 If you have been thinking about using the Ultimate Weekly Business Planner or just want some more tips for how we use your own, I've pulled together photos with tips on how I customize and make the most out of my UWBP. 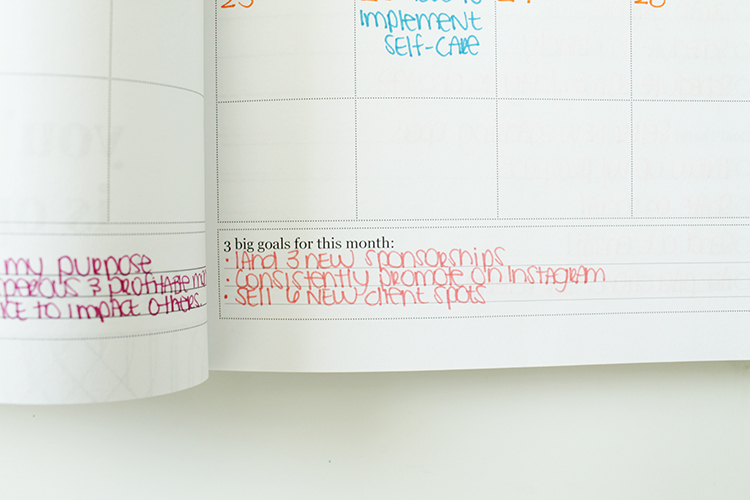 Like I mentioned before, we created the planner to be as simple as possible on purpose. We wanted to give you enough space to doodle, write out thoughts or color your heart out with no restrictions. 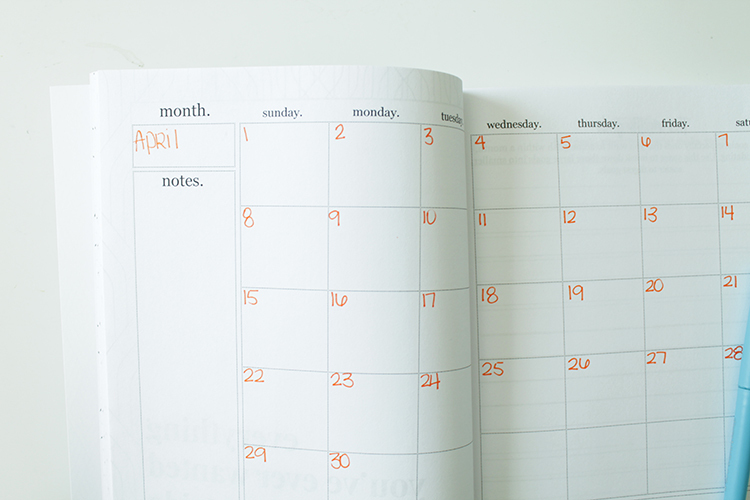 You'll also notice that the monthly pages are blank so that you can start the planner whenever you like. To really make the planner unique, I use the Mini Monthly Adhesive Tabs by Erin Condren and prefer the PaperMate Flair pens. The tabs help to easily flip through the planner and seperate each month and the pens are colorful and vibrant but don't bleed through the paper! The best thing about the Ultimate Weekly Business Planner is that it can serve as both your personal and your business planner. With product planning pages, space to write out your vision, place to keep track of your goals, statistics and income and expenses, it has enough space for you to keep everything you need in one central location. Plus, thanks to the simple design, you can start during anytime of the month. You can skip a month and start back again with no pressure. For easy reference, I color code every event that needs to go on the monthly spread. For example, blog posts are in blue, meetings are in green, client calls are in purple and so on. I also use the Erin Condren Customizable Event Stickers to write all of my bills on for both LOE and my personal life. To keep track of what each color is for, I use the "notes" section in the monthly spread as a guide. The monthly spread also features space or you to write out your monthly income goal, positive affirmations and goals for you to focus on each month. 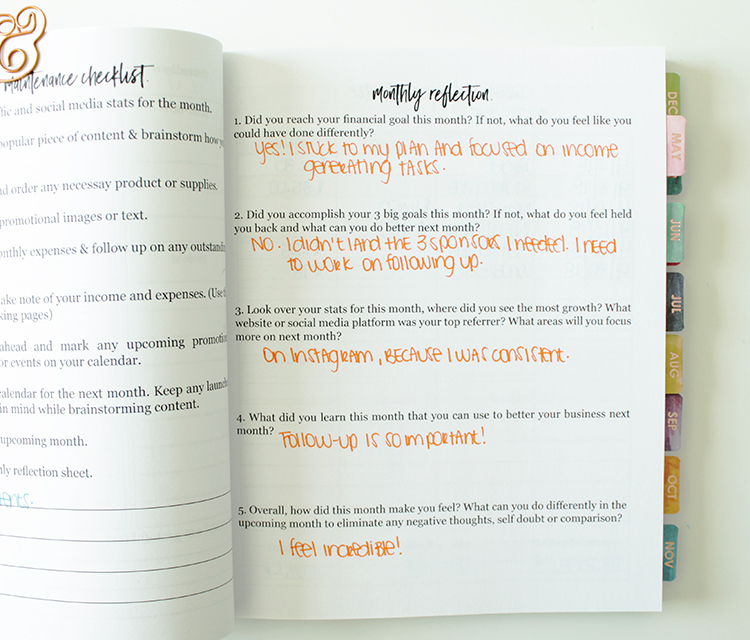 The goal setting pages after each month helps you to set your intentions for the month and break them down into action steps. 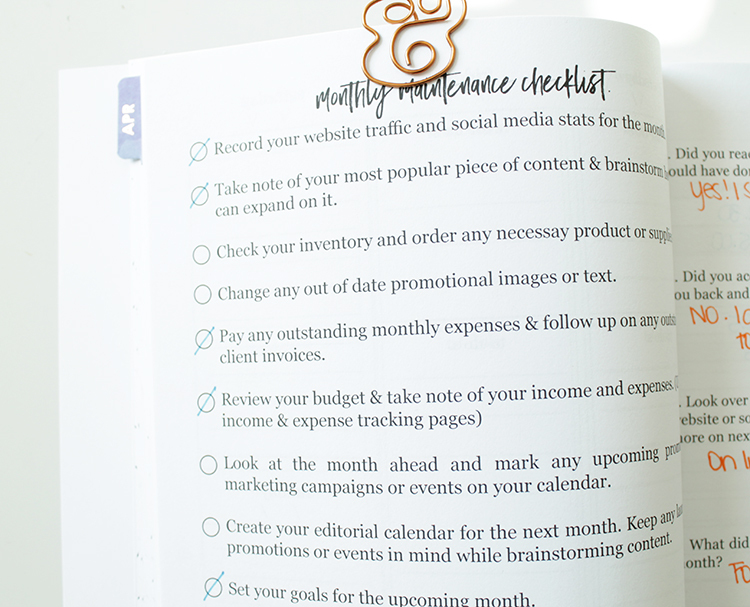 We chose to focus on three main goals each month when creating the planner in order to help you to focus on your most important tasks and to help alleviate overwhelm. 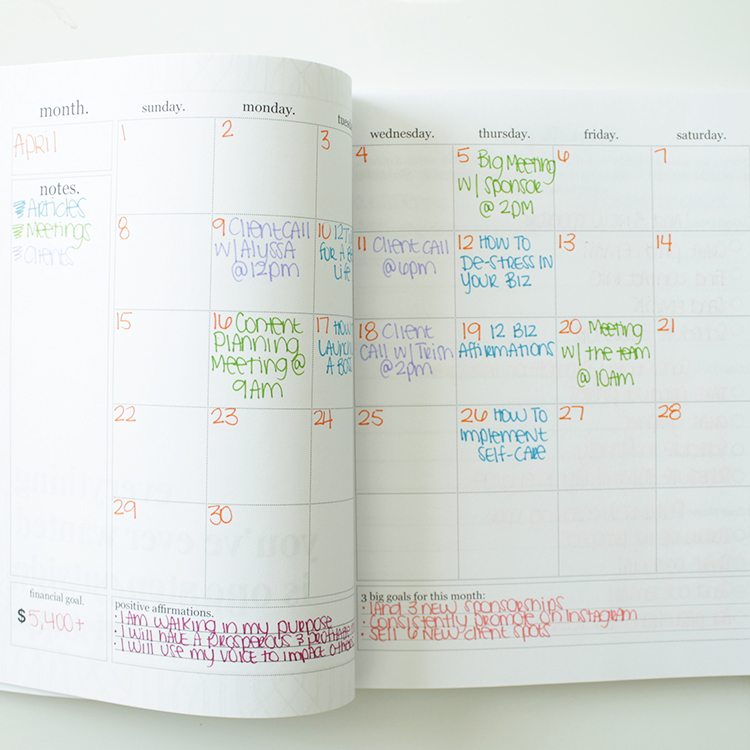 The weekly layouts are split into "Must-Do's" and "To-do's". This is a helpful way to plan out your day, again to make sure that you are focusing on what's important. To learn more about the difference between a must-do and a to-do, read this article. We're really big on reflection here at LOE. 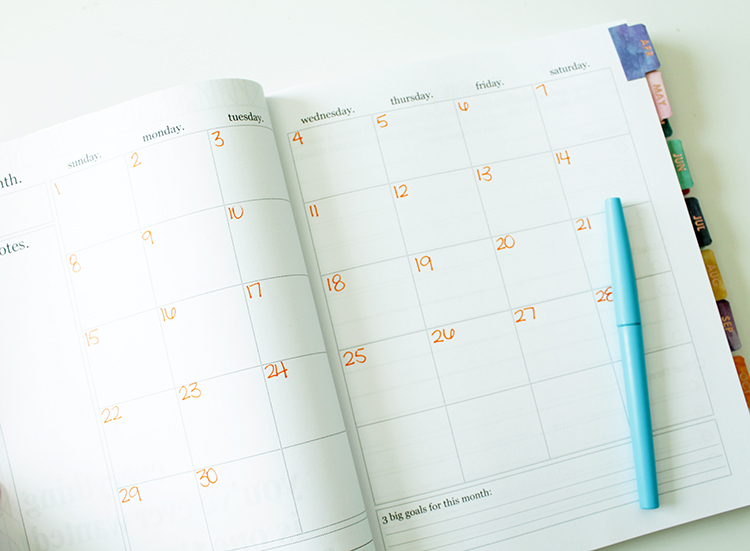 We believe that there is a lot you can learn about your business based on the actions you take each month, so at the end of the weekly spread we have included a monthly maintenance checklist and monthly reflection questions. The checklist includes actions that you should be taking every month to make sure that your business is running as smoothly as possible. The reflection questions help you to gauge what worked, what didn't work and where your business saw the most growth over the past 30 days. If you want to set big finance goals, then it is also important to keep track of where your money is going and where your money is coming from. So at the end of every month you will find a income and expense tracker. 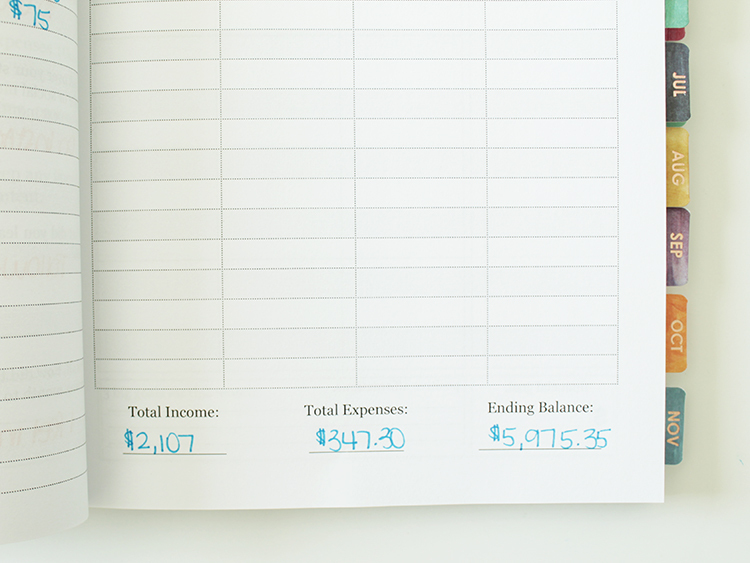 This 2-page spread will help you to see the bigger picture of where you and your business are financially. If you're more of a digital person, we created the Keep Track System to help you to keep track of all of your income and statistics as well. Overall, the UWBP is perfect for you to manage your life and business all in one place! We've seen people use it as a daily diary or bullet journal, we've seen people doodle around the white space to give is some flair, and we've seen people dedicate the entire planner to launching one specific product over the course of the year. However you decide to use yours, be sure to tag us on Instagram with #livingoverexisting so we can share with the rest of our audience!